The band American Dollar arranges songs into soundscapes and visions of futuristic music. "A Memory Stream" is a journey into new sonic territory. 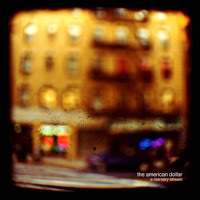 American Dollar has managed to make a true sound experiment while finding uncommon ways to explore the sonic world. The song "Call" has a very repetitive drum machine part that seems looped. The pianos sound natural and the atmospheric quality of the track borders on techno. This music has a soothing quality that is suitable for dance clubs or someone listening to a CD player. "Were Hitting Everything" has a synthy electric piano intro with gated electronic drums. This track could've been used on Stanley Kubrick's "2001: A Space Odyssey" soundtrack. the password for the RAR doesn't work. Is there something im doing wrong? Please help. its quite possible that you're copying the password wrong. copy the password, but not this part "pass:".